Sharing a story map is an essential feature for teams who like to work together in StoriesOnBoard. But teamwork can be even more effective with the team chat tool integration. The idea behind this is to create a channel for a story map in one of the supported chat programs and send the selected activity notifications from StoriesOnBoard to the chat application, so all the team members can get information about the most important events on the map into the same channel. Let's see how it looks like in practice. Under " Board settings" choose the "Team chat integration" tab. Using the checkboxes under Event notifications you can fine tune what kind of events should go to the chat programs channel. 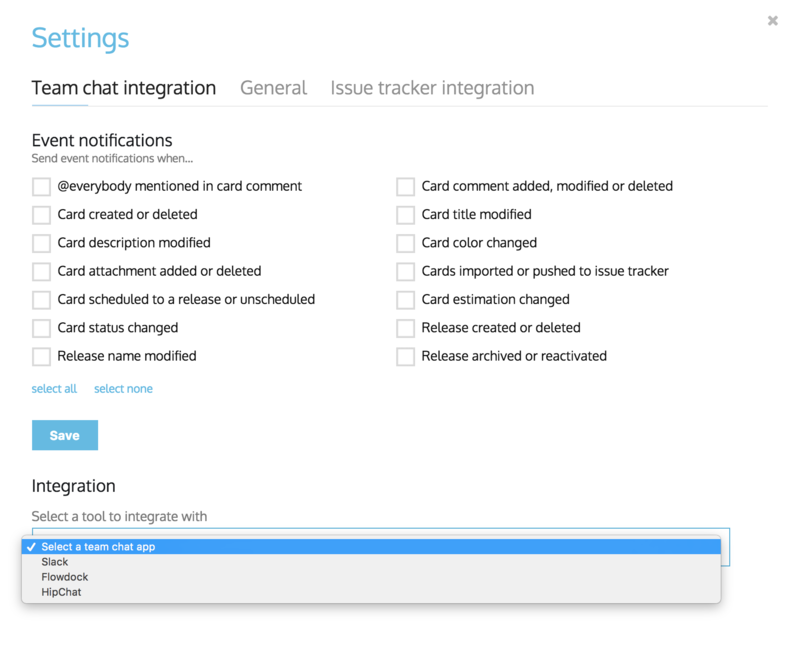 Under Integration, you can select from the available chat applications which are Slack, Fowdock and HipChat at the moment. Clicking on How to create webhook? 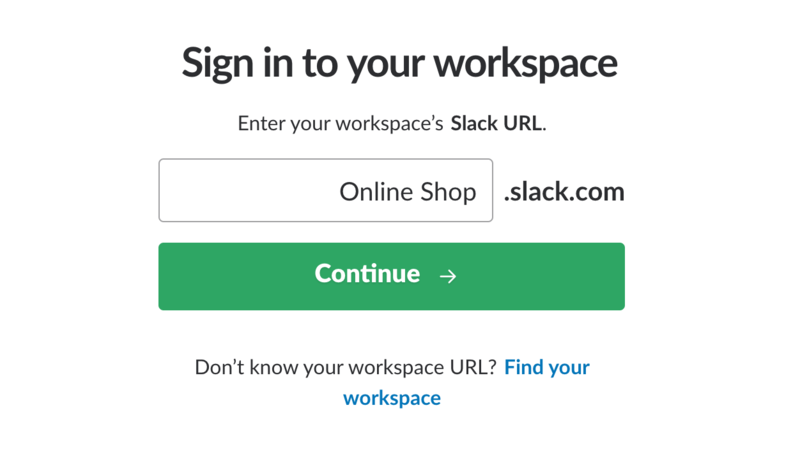 will redirect you to Slack where you need to type in the name of the Slack workspace containing the channel you like to send notifications to. After that, you can select the channel from the drop-down menu, or create a new one. When the channel is selected just click on "Add Incoming WebHooks Integration"
Then copy the created Webhook URL and paste it into StoriesOnBoard's Webhook URL field. Clicking on "Connect" will enable the integration. If everything is good, StoriesOnBoard will send a test message to Slack. Integration setup with Flowdock is almost the same like Slack, the only difference is that Flowdock using API Tokens for making the connection. After pasting the API Token into the "Flow API token" field, just click on "Connect" and the integration is done. SoriesOnBoard will send a test message to Flowdock.